2D1N from SGD 355 / person ONLY! 3D2N from SGD 635 / person ONLY! 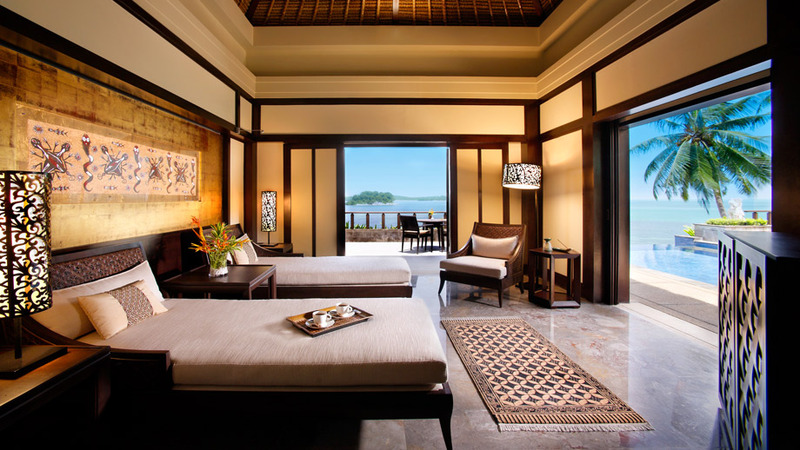 Discover rustic luxury in the tropics here at Banyan Tree Bintan. Hike in a rainforest teeming with giant trees and lush life, hillside terrain, secluded beaches and the sweet song of birdlife. 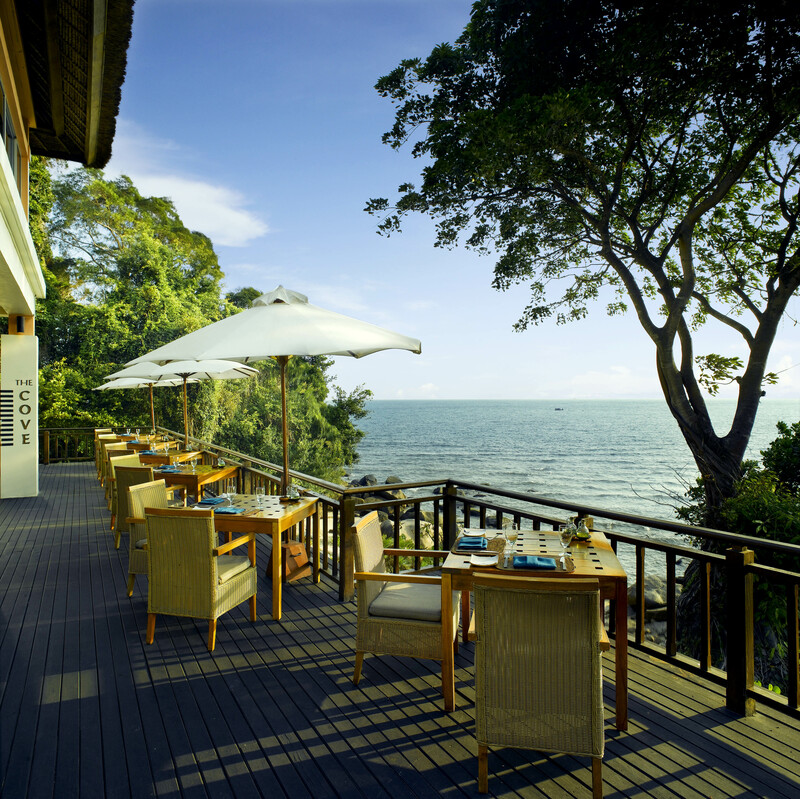 Immerse yourself in a natural sojourn on Bintan island. 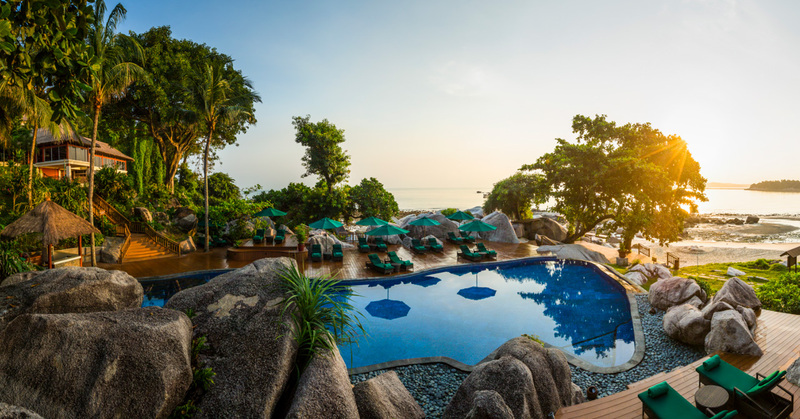 Unwind and relax on the resort's private beach in Bintan, tee off on an undulating championship golf course and be pampered at the acclaimed luxury spa in Bintan. 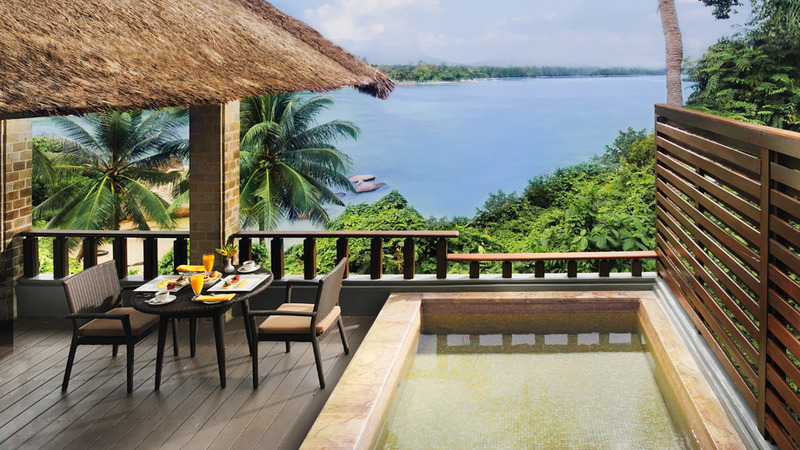 Be mesmerised at Bintan's only all-villa establishment of beautifully decorated villas in traditional Balinese style, each raised on stilts and set on hillsides. * For more room types, please contact our staff for more information! 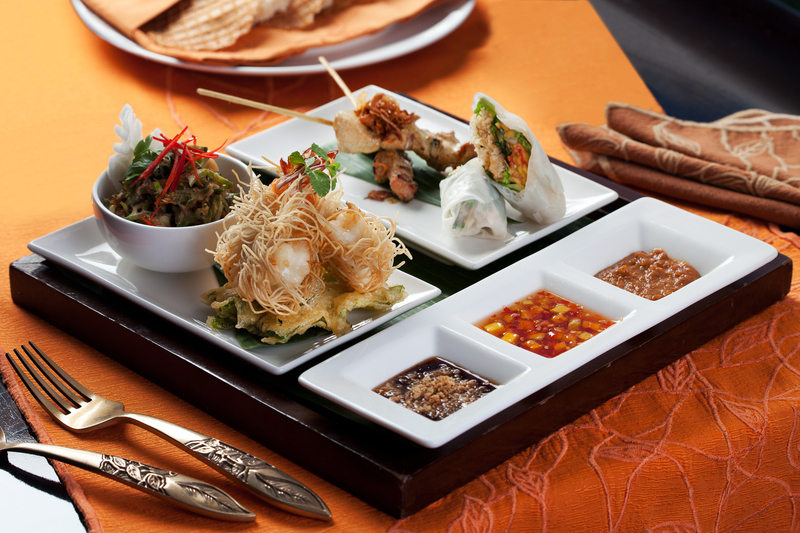 Banyan Tree's signature restaurant offers award-winning Thai cuisine with a surprisingly modern twist. 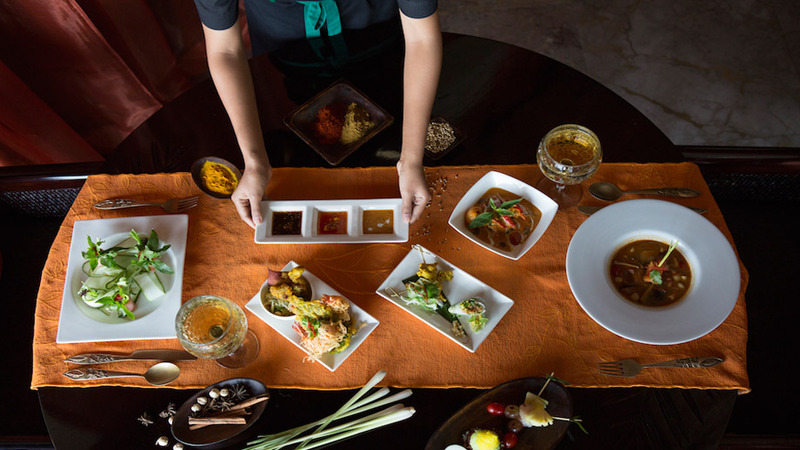 Take a look at our exclusive original menu, which features fresh ingredients that are sourced locally from dedicated growers to serve you a delicious and beautiful authentic Thai meal. 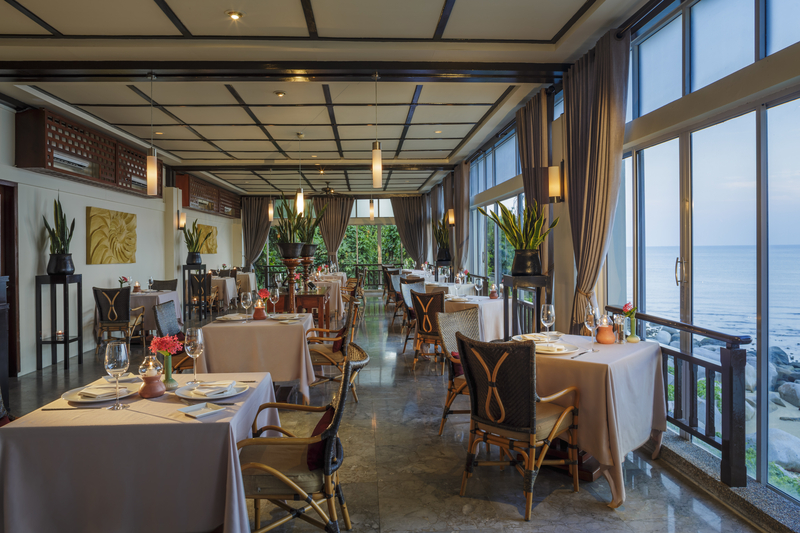 Choose to dine in the cool comfort of the indoor area or under the sway of tropical trees al fresco and feast on Mediterranean choices such as smoked salmon linguine, stone crab spaghetti and Australian rack of lamb cooked in a crust of garden herbs. 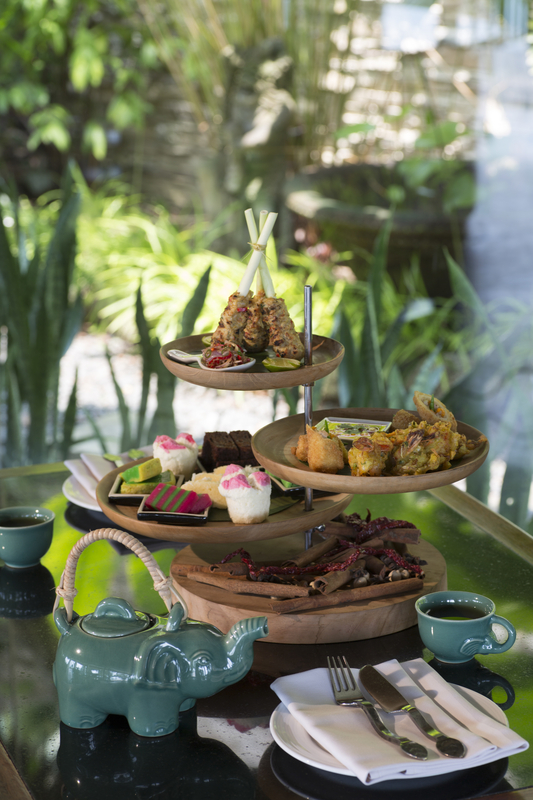 Enjoy authentic Indonesian food in comfortable surroundings. Open all day, Treetops will serve you a delicious breakfast buffet, lunch dishes or dinner from the rich culinary traditions of Indonesia. Fisherman’s Table – Dine in a traditional fisherman’s boat and enjoy signature seafood dishes such as wok-fried chilli crab straight from the mangroves! Dinner on the Rocks – Have a meal on a dramatic stage of natural rock and let your personal chef and waiter serve you. 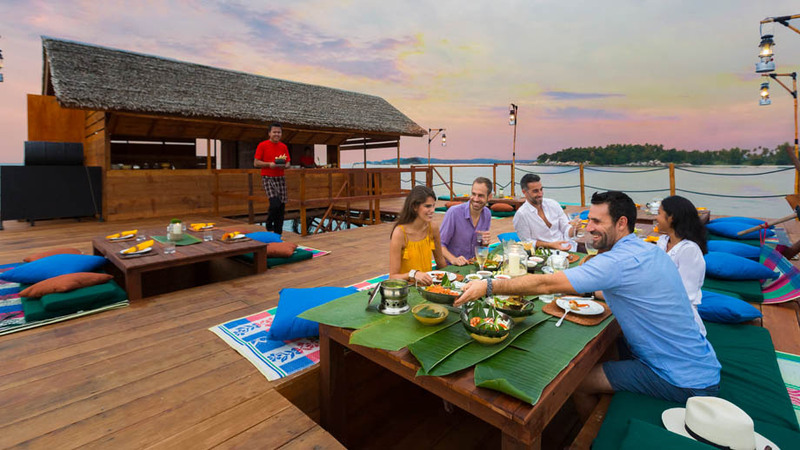 Kelong Dining Experience – Dine on a traditional kelong, a fisherman’s abode in the ocean. 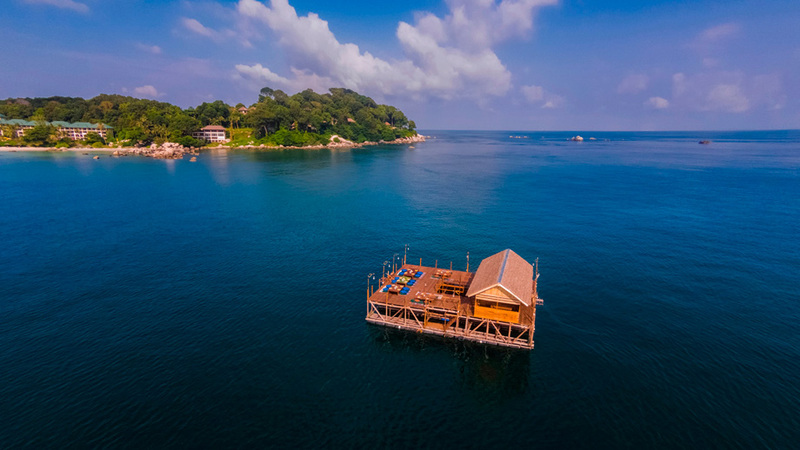 Let yourself be whisked out on a Pompong boat, before enjoying cocktails and exquisite locally sourced seafood with your private chef and waiter. * For more Destination Dining options and the respective prices, please contact our travel consultants for more information. 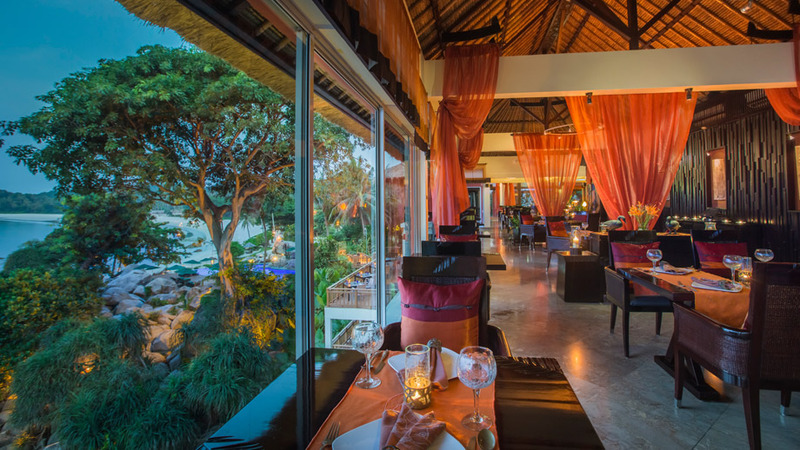 Choose from our large selection of tempting dishes or go for a barbecue of freshly grilled meats, vegetables and seafood served in your villa. Located at the neighbouring Angsana Bintan, children from ages 3 to 10 are welcomed to take part in activities such as baking, face painting, sand castle building, sand art, art t-shirts, cap painting, Riau dancing classes, pool games, Pirates of Bintan and the exhilarating Up-Up Away. 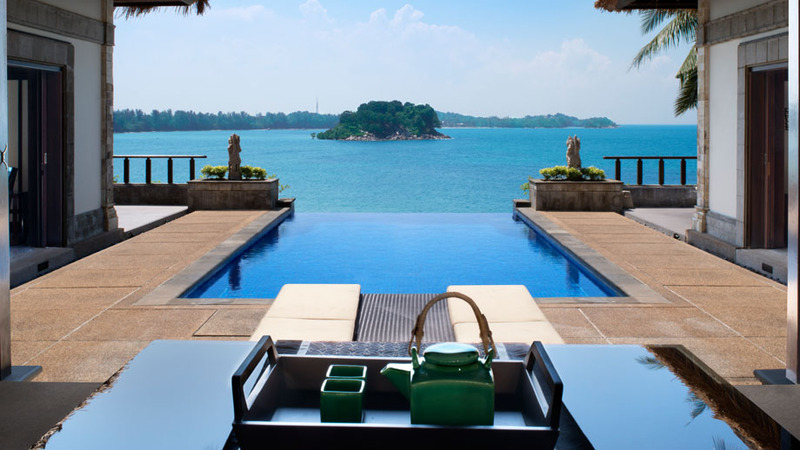 Discover the awe-inspiring sights and culinary specialities of Bintan while our qualified associates tend to your needs and delight your day. Half-day tours include a Cultural Tour, a Shopping & Dining Tour, or customise your day with Leisure at Your Pleasure. Retreat to a haven for romantics where a complete sensory experience steeped in holistic Asian healing traditions awaits you and your loved one. Under the intuitive touch of our therapists, simple sensory pleasures are reawakened to define the award-winning Banyan Tree Spa experience. 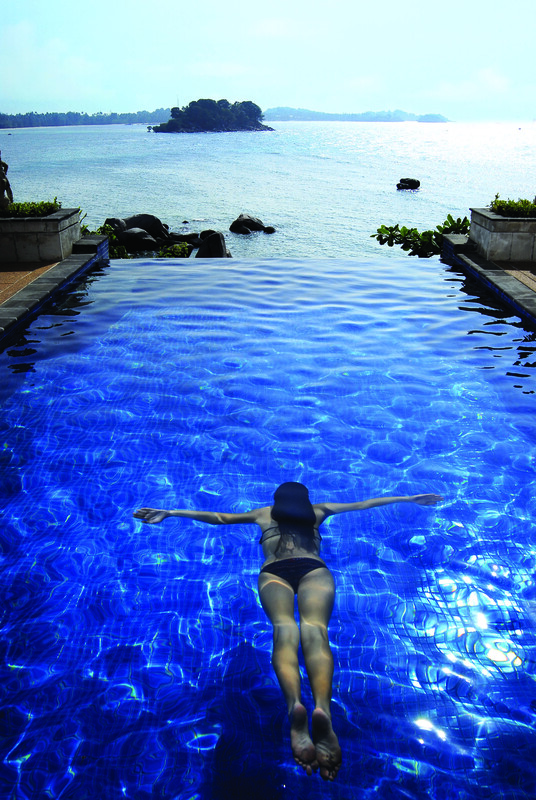 Check-In Time is at 3 pm whereas Check-Out Time is at 12 pm (Bintan Time). Land Transfer via Private Shuttle Bus Services from the Ferry Terminal to Banyan Tree Bintan will take approximately 15 minutes. 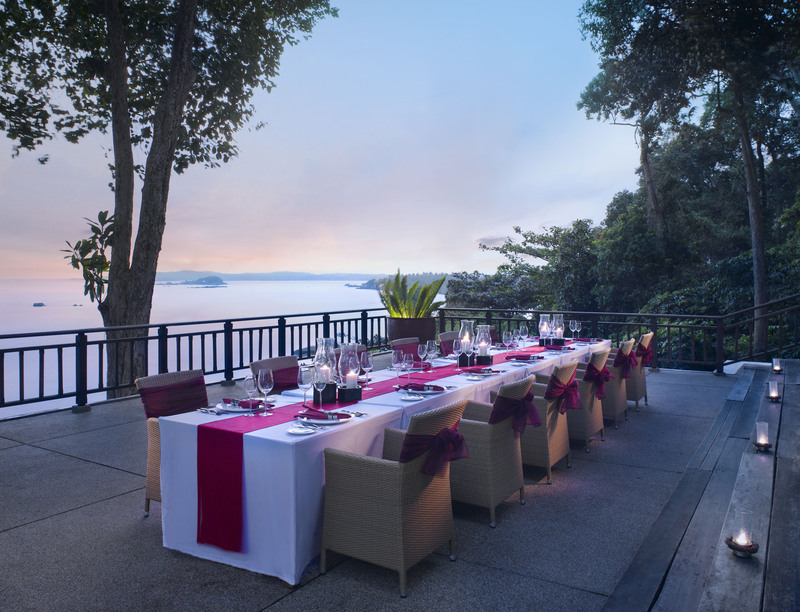 Dinner on the Rocks is priced at SGD 280/couple. For further enquiries on the dining options, please feel free to contact our friendly travel consultants! 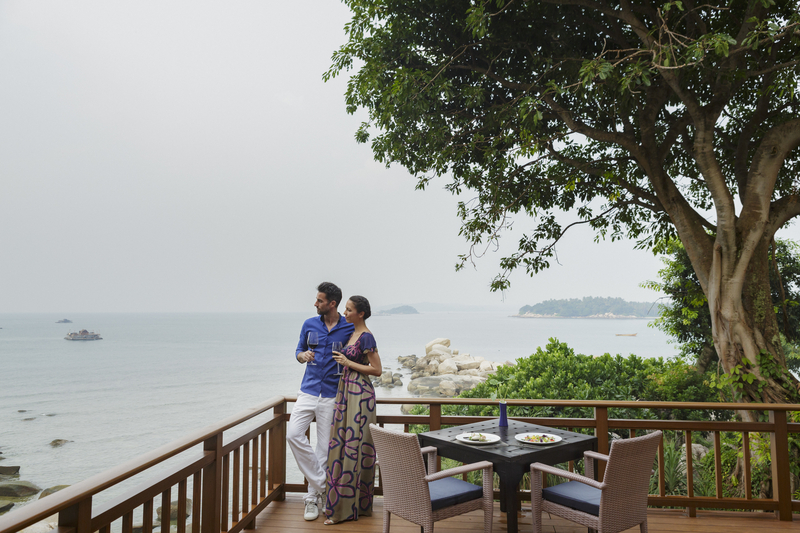 Banyan Tree Bintan guests can utilise the facilities at both Angsana Bintan and Cassia Bintan. Honeymooner's & Anniversary Benefits: All honeymooners will receive a fruit platter, welcome drinks, one Banyan Tree Gallery Gift and a complimentary one-time Intimate Moments (which includes a drawn bath with flower petals, and a room dressed with scented candles, aromatic oils, fragrant flowers, two glasses of wine and relaxing background music). What are you waiting for? Where is your next vacation? Banyan Tree Bintan of course! Very luxurious property and excellent service. 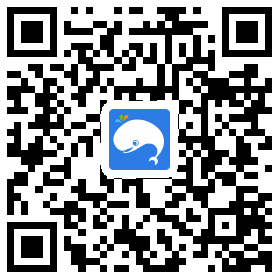 This is the place to be if you love nature! Will come back again. The villas were really unique and unlike any other resorts we've been to. Thanks for making our honeymoon enjoyable! Special thanks to Reinie for helping me schedule and make my Bintan vacation booking seemless. Will definitely come back to make more bookings in the future. Can't find a better place with such attractive deals! Cheers. Extremely pleasant booking with WeekendGoWhere. Thanks Fenny for helping us to book our stay. Thumbs up to the amazing service! Though a little on the pricier side, this resort is definitely worth your money! Excellent Service! Enjoyable stay with well maintained rooms. AMAZING Hotel with even BETTER food! The villas were clean and pretty! Thanks for the great vacation! We really enjoyed the stay at Banyan Tree. Thanks Candy! It was our furst time to travel with our baby, but we could enjoy the stay a lot with special arrangement for the baby including baby bed and amenities. All staffs are very kind and friendly. 'Excellent service with a great smile from their bottom of the heart' that's my first impression when i first stepped into Banyan tree. Staff were efficient and prompt when it came to service. Great food. A beautiful peaceful environment. Just what we needed. The staff and services of the place is excellent. The room is also wonderful with a super comfy bed. Great property with superb sea view, great staff, excellent place for getaway. We were treated like royalties during our stay. 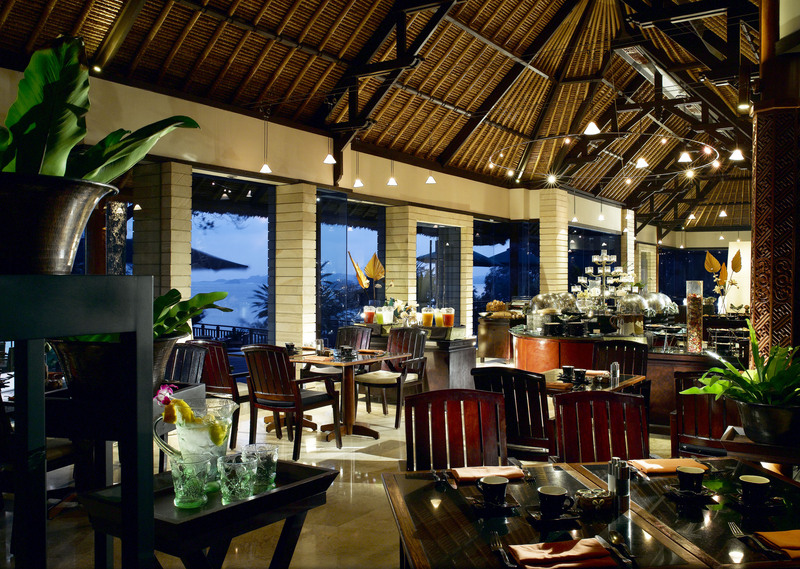 Nothing come close to the type of service which Banyan Tree have rendered. Comfortable room, great bed, nice amenities and the location is gorgeous. Great breakfast with lots of choices. Enjoyed the Blue Lantern BBQ dinner - and wow! SO MUCH FOOD! Thanks for a great weekend. The kids really enjoy the private pool and facilities. Will come back again for sure. Everything is perfect here. It worth the money. 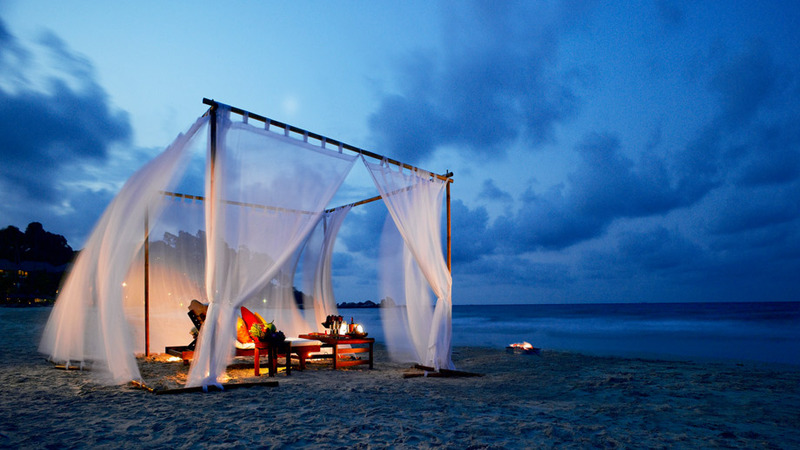 This is what you are looking for when coming to Bintan. Staffs are nice and very helpful. Love the flowers they put in room. Would be better if there were less mosquitoes though. Lovely beaches & wonderful services. The breakfast really lovely. Ambience are great, service level are superb, food are nice. Value for money and will revisit again. ad a sea view, quite good stay and stayed in for a quiet and relaxing time. 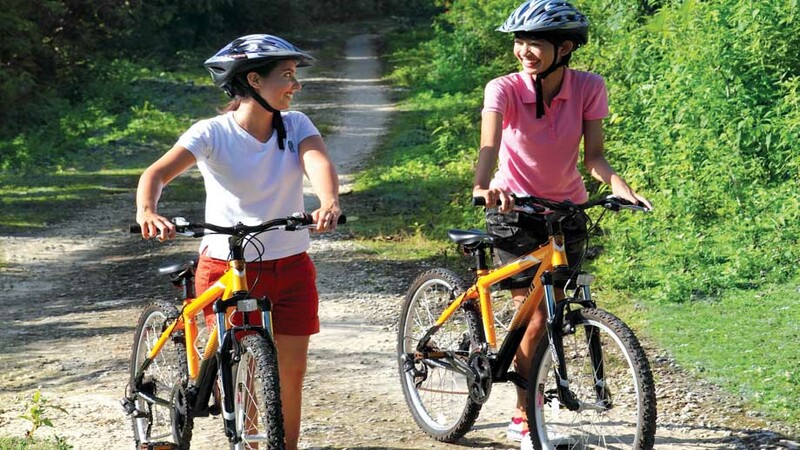 Close locality to Singapore was a plus to escape and relax without the hassle of going through an airport. Resort grounds was spacious giving sense of space and privacy. staff was well trained and non intrusive. As we only live in Singapore, this is a perfect weekend get away. Staff are great and always remember us upon return. The Thai an Indonesian restaurants are fantastic. 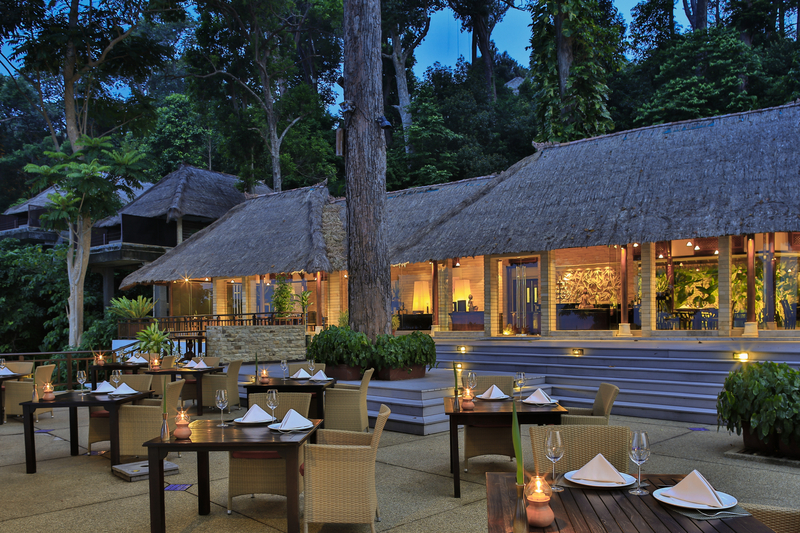 We love returning to Banyan Tree.